Phone Thames Water for free by dialling their freephone customer service contact number 0800 980 8800 for billing complaints and to report an emergency such as a leak. Contact Thames Water customer services for free on their freephone telephone number 0800 980 8800 where you can discuss your bills, for example if you believe that you have been overcharged you can call this helpline to ask for a refund. Similarly if you suspect that you have a faulty water meter you can call their customer care team to request an engineer to visit your property. This is also their main accounts helpline so if you would like to change how often you pay for your water you can call this number to switch to monthly, quarterly or yearly billing. Similarly if you have changed your name or bank account you should call this helpline to update your registered details so that you can continue receiving water. Furthermore if you are moving home you should dial this number to either change your address if you are still going to live within the Thames Water catchment area or to close your account, however you will have to pay a final water bill if you are leaving your contract early. The Thames Water customer service phone number 0800 980 8800 is open from 8am-8pm Monday-Friday and 8am-6pm Saturday, therefore it is closed on Sundays plus UK public holidays. As mentioned this is a freephone number which means you can call Thames Water for free from any UK landline or mobile handset. If you need to contact Thames Water from outside the United Kingdom please call their international phone number +44 1793 486 555 to discuss your water bills whilst abroad. You can also phone this helpline to set up a new account if you are planning on moving to the UK and to get your water supply turned off remotely if you suspect that you may have left a tap running. Please be aware that overseas calls cost more than equivalent UK-only enquiries and that the precise cost is determined by which country you are in, thus it is advisable that you phone them from a landline. Phone Thames Water to report a leak by calling their emergency contact number 0800 714 614 where you can notify them of burst water mains as well as flooding. You can also call this helpline for an update on how long it will be before they restore a working water supply so that you can plan ahead, similarly you can call them to request bottled water if there is a significant problem with your water works. This service is available 24 hours a day, seven days a week so please do not hesitate when reporting a leak in order to prevent localised flooding. 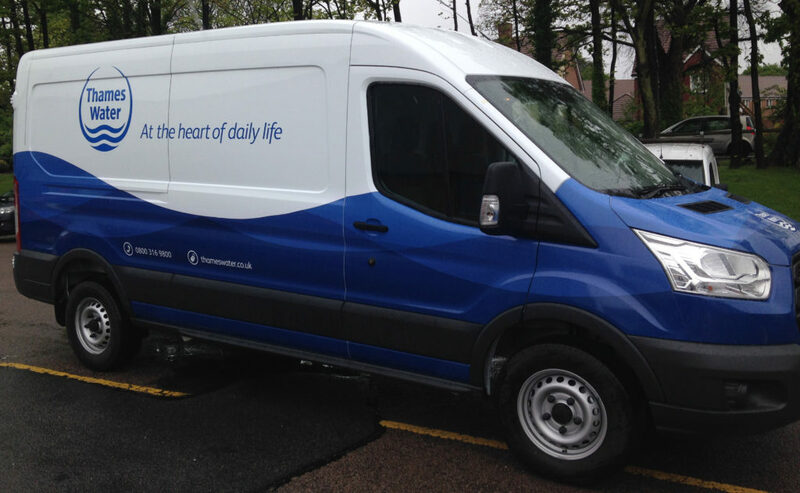 Contact Thames Water on their UK freephone number 0800 316 9800 to find a registered plumber in your local area if there is a problem affecting the water at your property. For example if your water pressure is low you can call this helpline to find an affiliated tradesman who can examine the problem. Similarly if your water is discoloured you can dial this number to ascertain whether it is still safe to use. You can also phone this number to find out how to switch your water off at the appropriate shutoff valve if you are carrying out repairs or if you are going on holiday. Moreover you can call the Thames Water quality assurance team on their telephone number 0800 316 9800 to report a problem with your drainage so that they can check whether there is a blockage. By contrast if sewerage is flowing from your drains you should call this helpline so that one of their specialist engineers can repair the root cause of the problem. Phone Thames Water on their complaints contact number 0800 0093 988 to complain about numerous incorrect bills and constant problems with your water supply. Furthermore if you have been without water for a significant length of time you may be eligible for compensation which you can claim by calling this helpline. Alternatively if you would prefer to send a written complaint you can either send these to their email address customer.feedback@thameswater.co.uk or by writing to their complaints resolution team using the postal address below, where you can also send receipts and plumber reports in support of your claim. Thames Water offers a range of flexible options which you can use to contact their customer service department as such you can write to them, send them emails and post messages on their social media profiles. 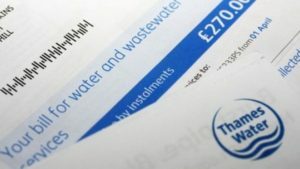 If you would prefer to correspond with Thames Water by sending them a letter you can write to them using their UK customer service postal address, however please note that they do not accept cheque payments for water bills. Furthermore please remember to place your account number at the top of your letter so that your enquiries can be resolved as swiftly as possible. You may use the Thames Water online app to contact their customer service team by email, you can even select the best time for them to reply via phone or by return email to your preferred address. You can also contact Thames Water by sending messages to their accounts on popular social media websites, where you will also find promotional statements advertising their rates, new water meters and outages.